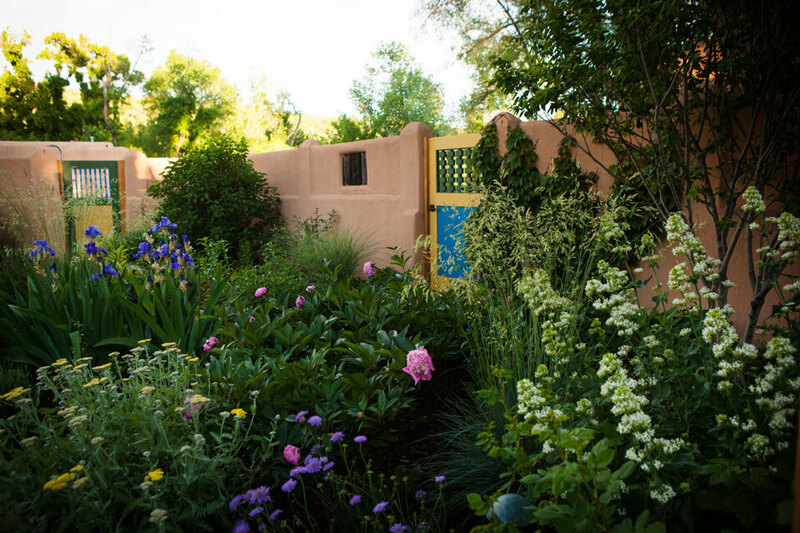 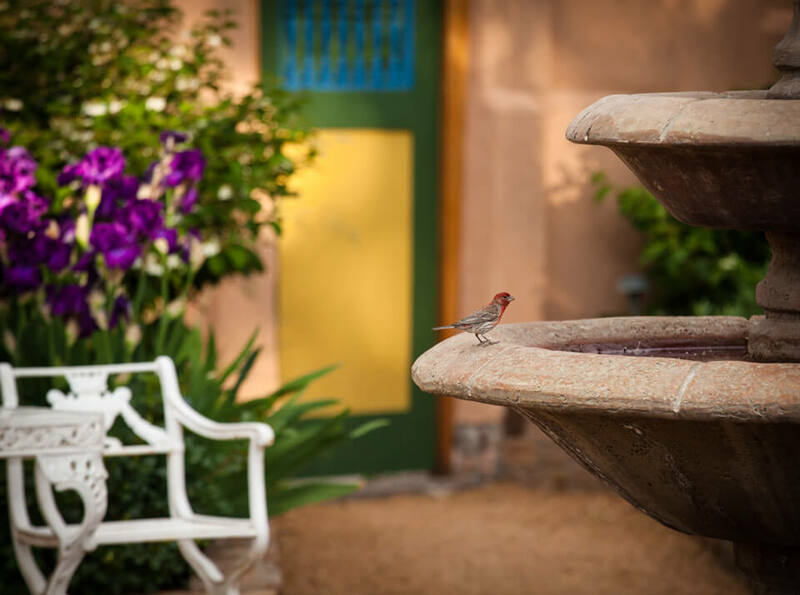 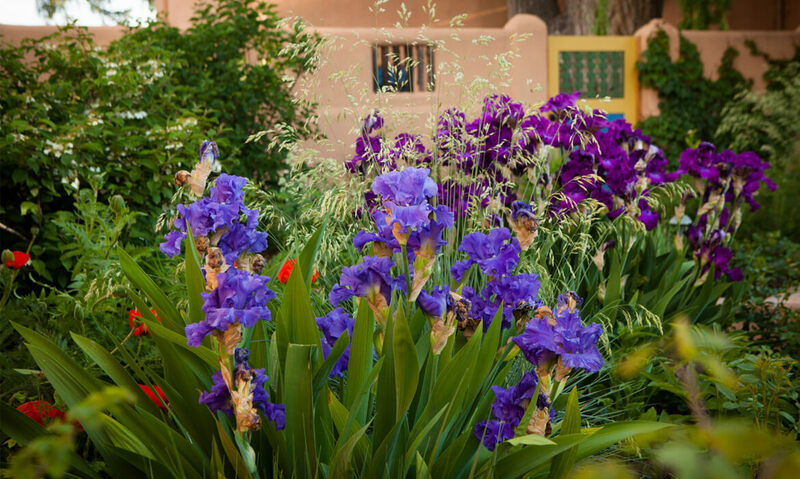 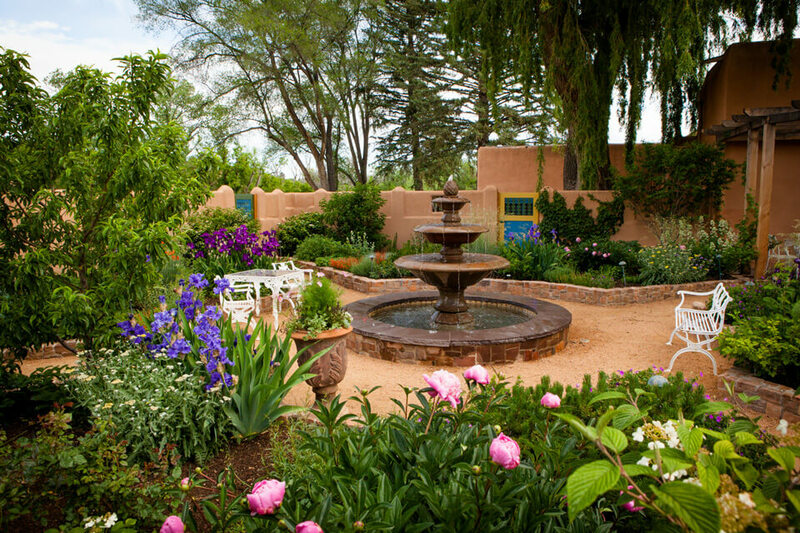 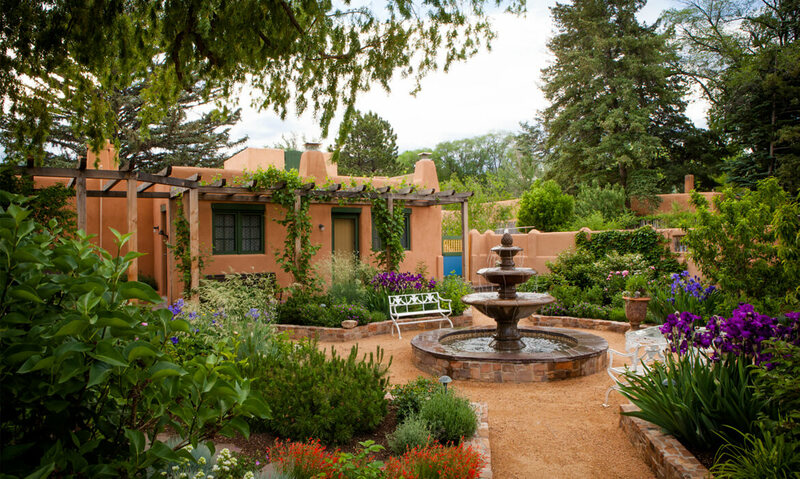 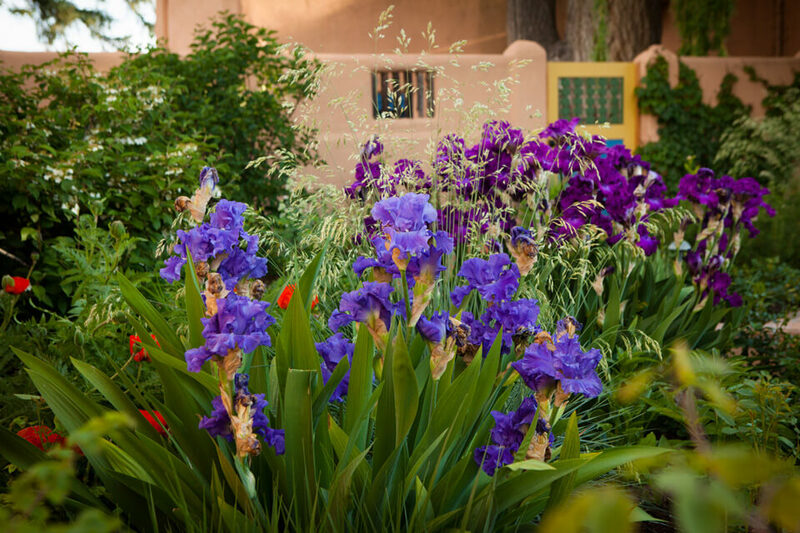 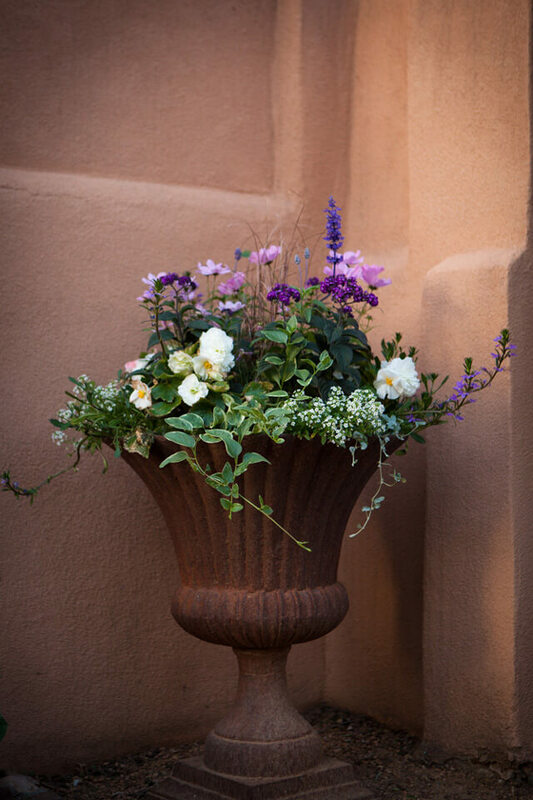 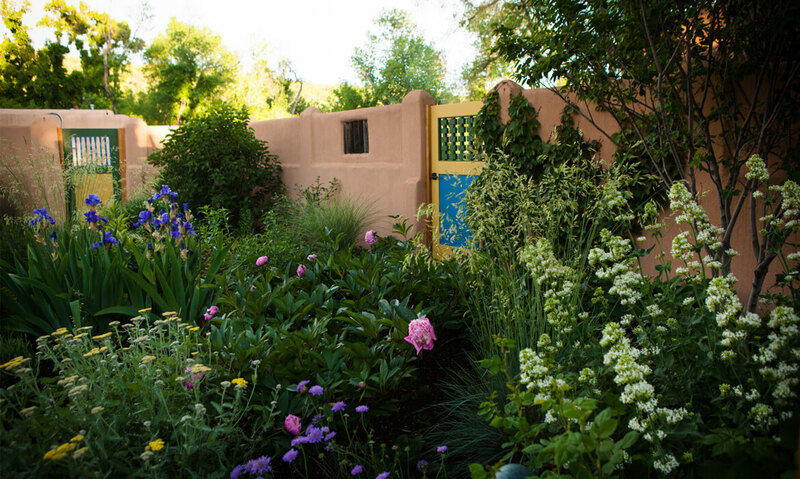 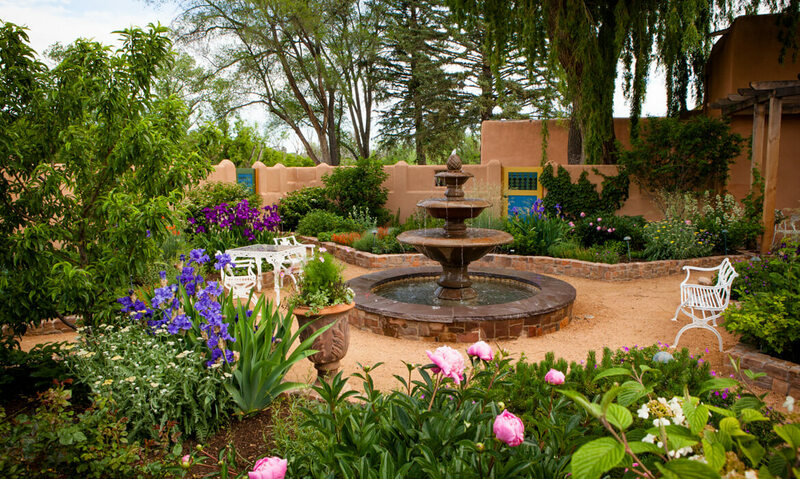 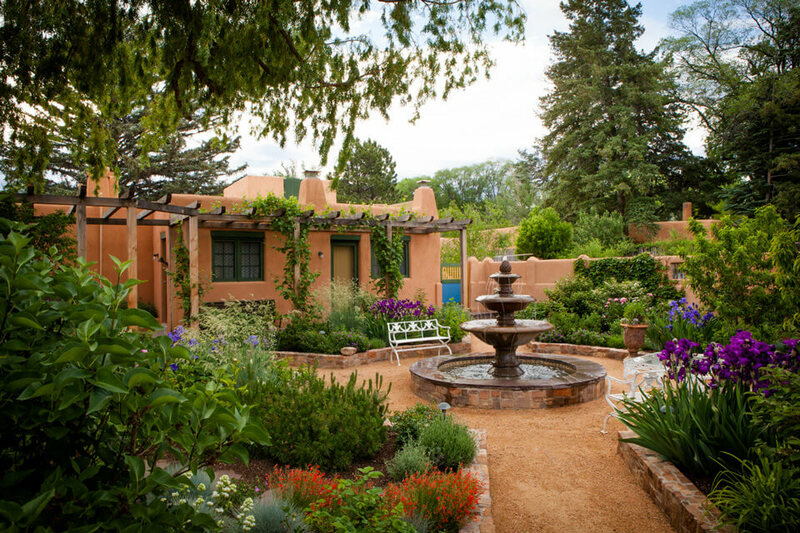 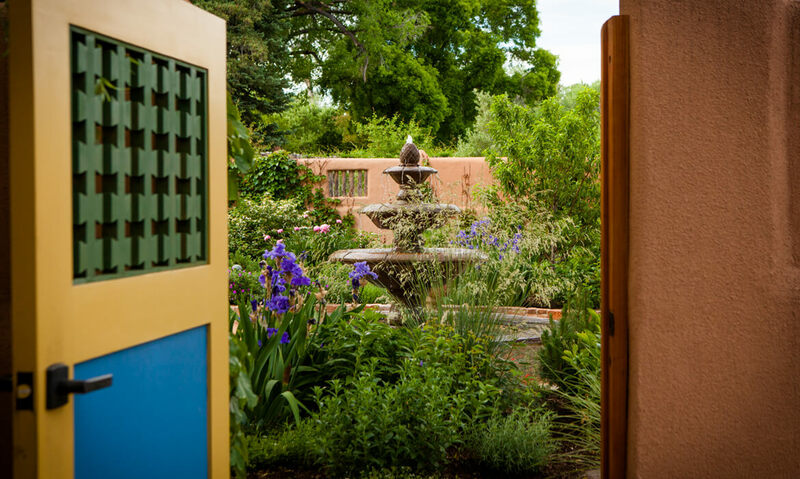 An existing walled courtyard is part of an historic property in the Village of Tesuque, and within the walls an old garden was removed to make way for a new garden done in an old style. 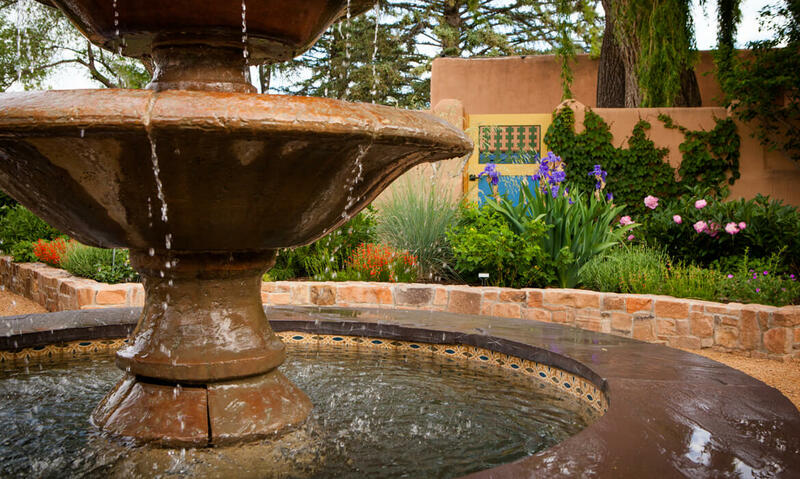 In the center of the large square space is a circular fountain constructed of recycled flagstone, hand painted tiles and a tiered basin. 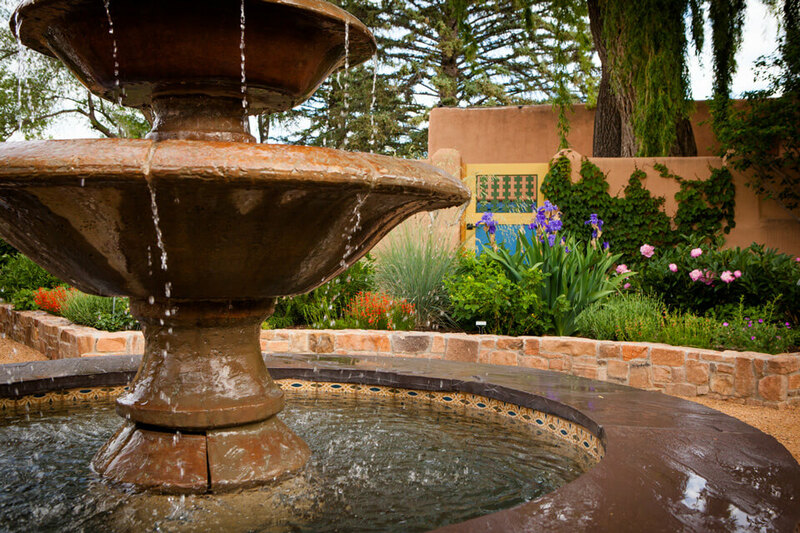 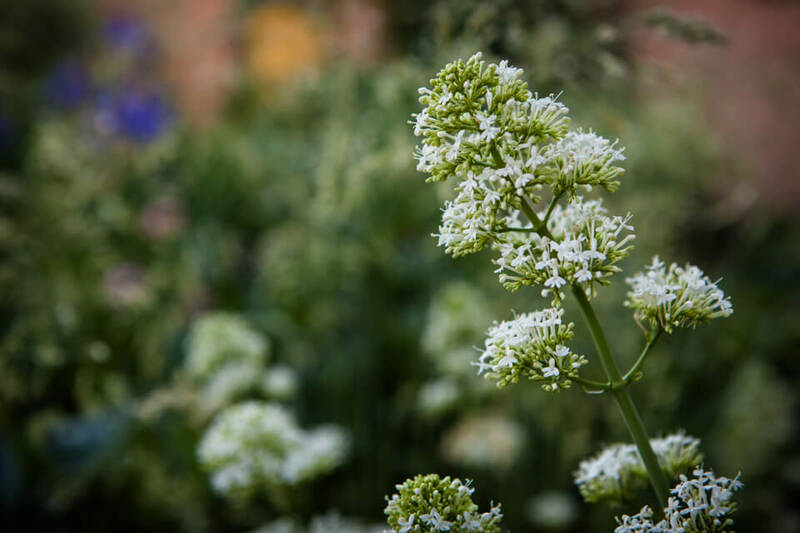 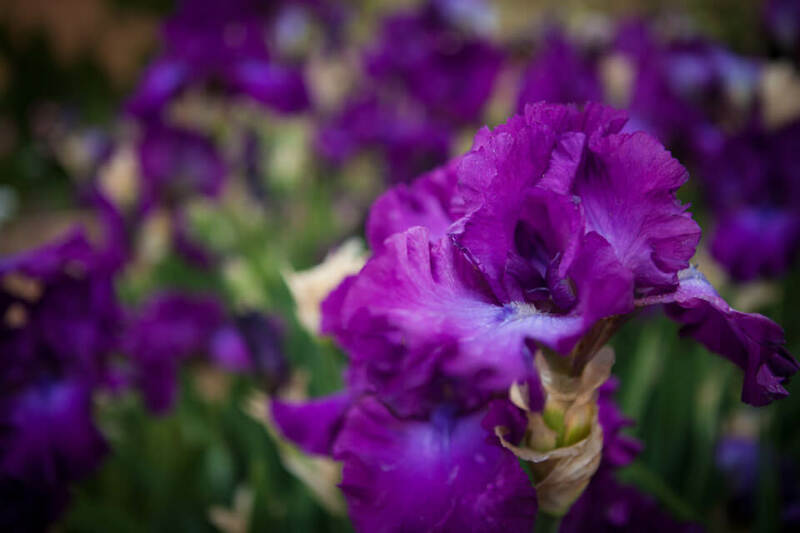 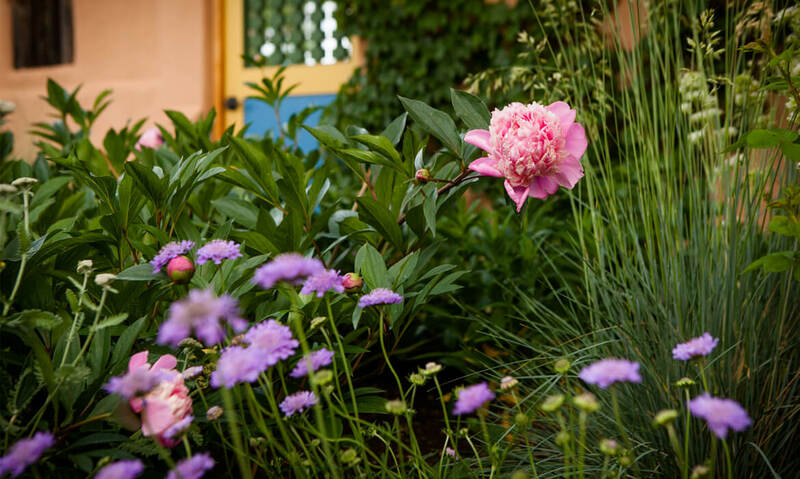 Surrounding the fountain are four triangular-shaped raised stone beds where roses, delphiniums, lilies, peonies, irises, poppies, anemones and geraniums grow amongst the lilacs, viburnums and fruit trees. 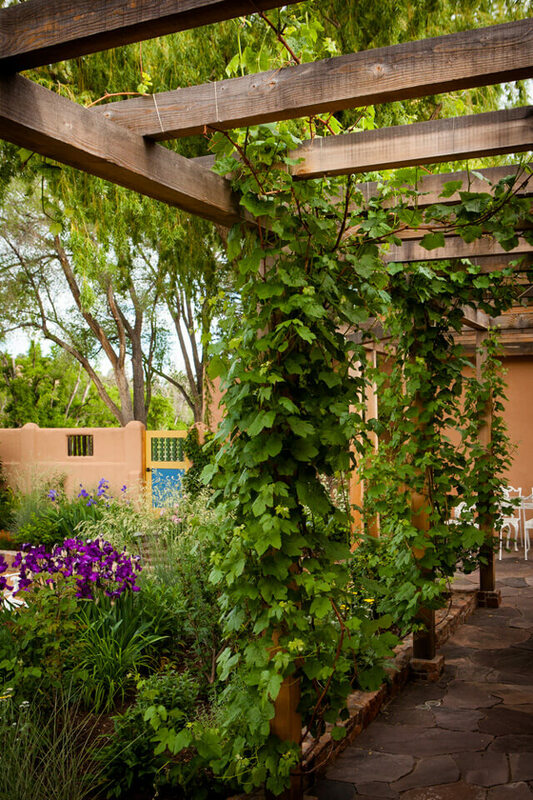 The custom built arbor supports vigorous grape vines and helps provide shade for outdoor living. 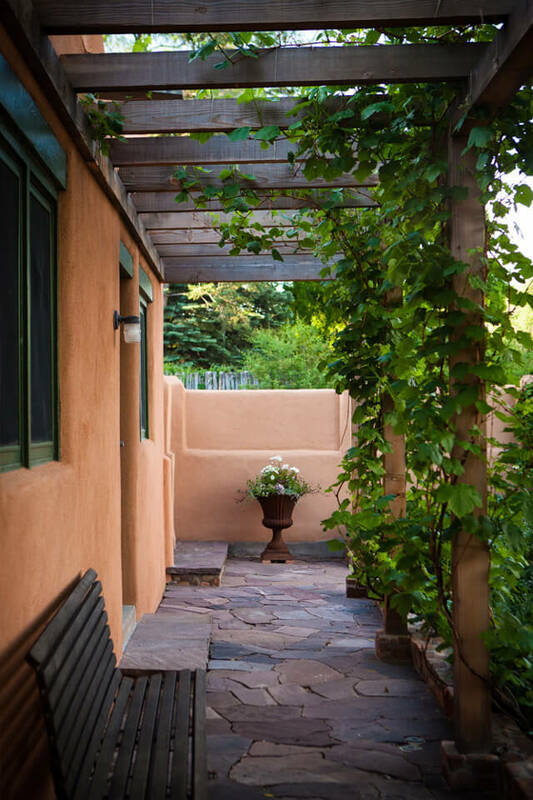 Rustic recycled flagstone is dry laid to pave the outdoor dining room and arbor floor. 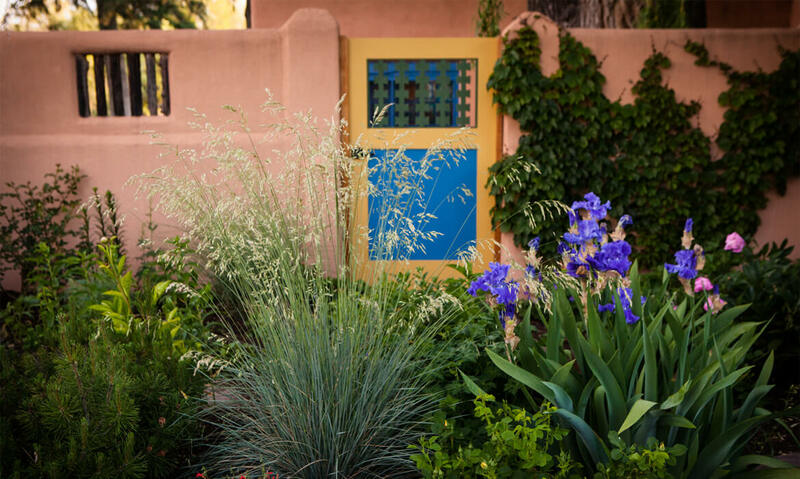 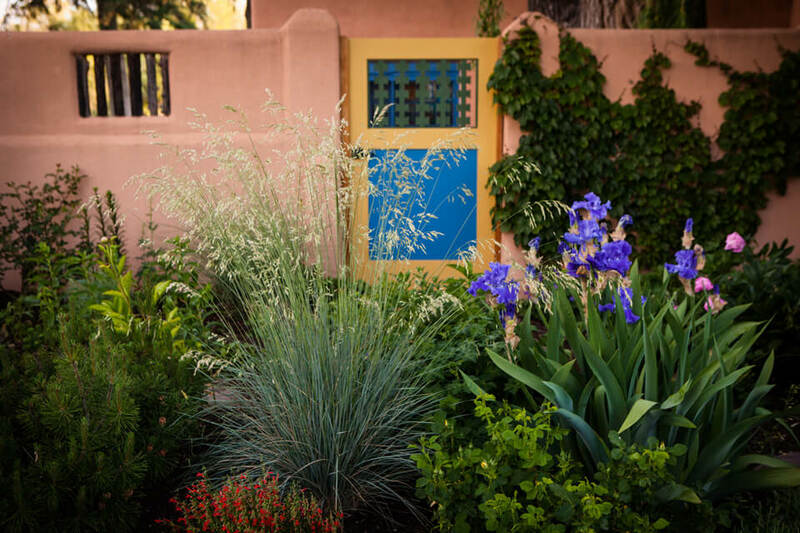 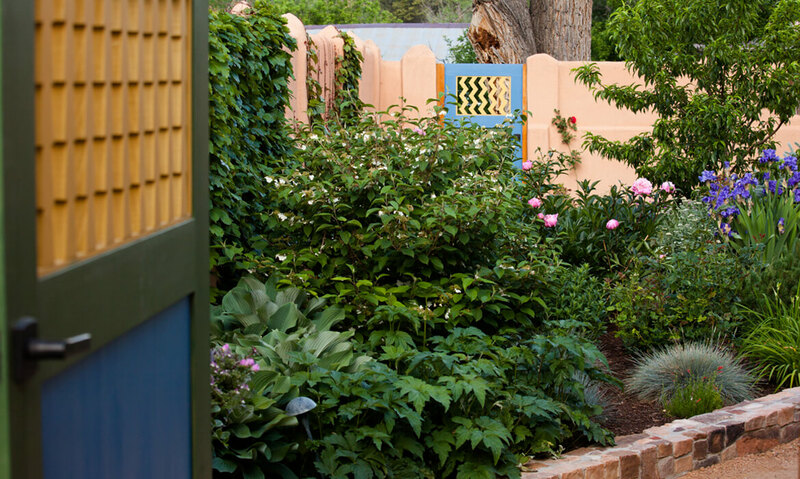 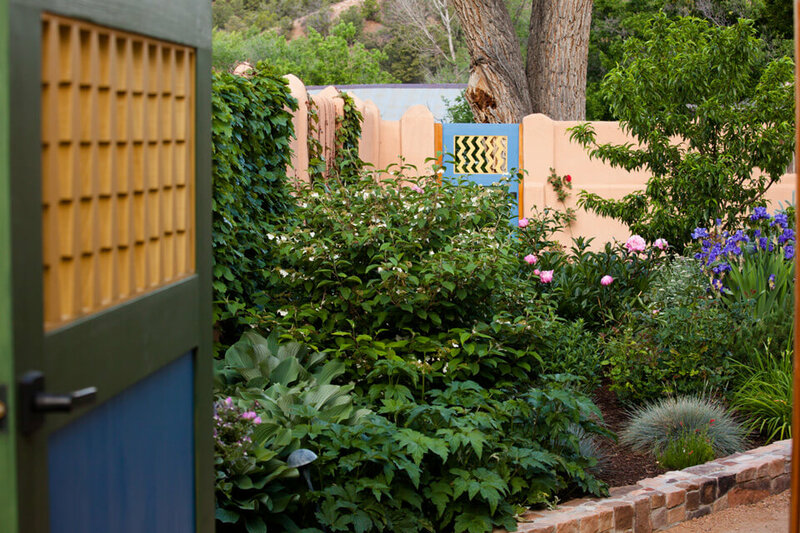 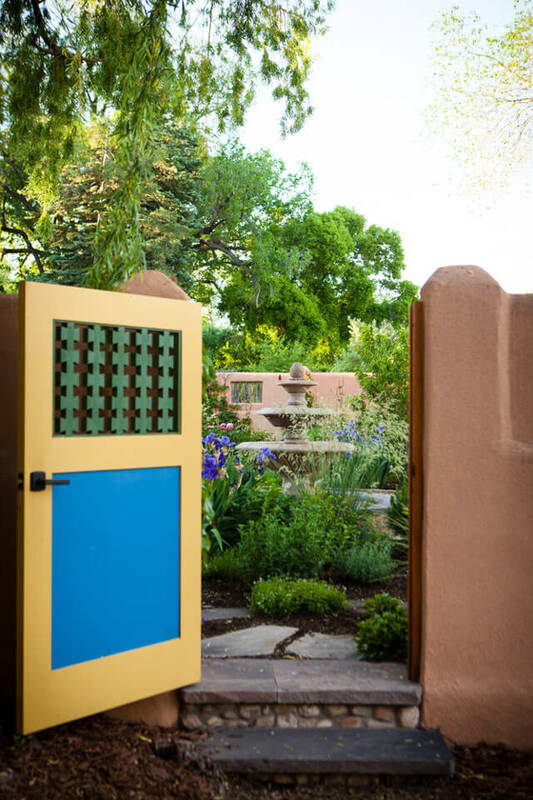 Hand crafted gates with historic motifs are stained colors to brighten the courtyard walls where they were installed to guard against rabbits coming into the garden. 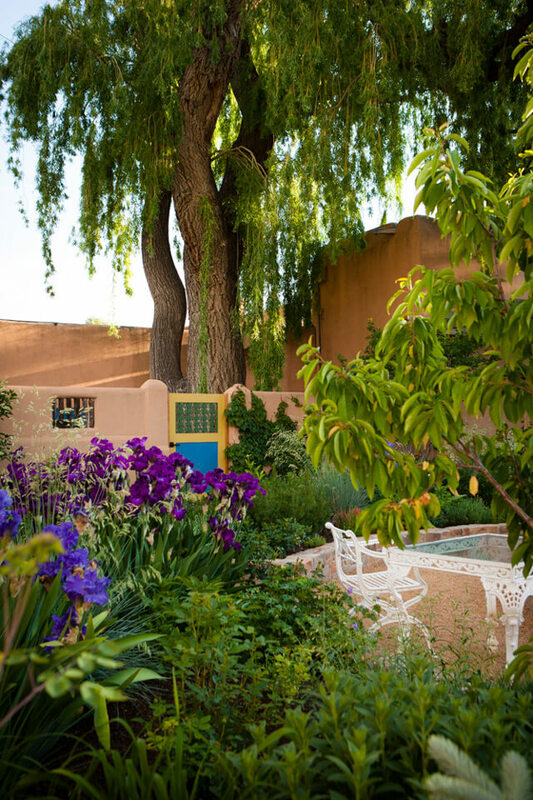 An old weeping willow outside the courtyard drapes gracefully over a portion of the garden, and vintage painted iron furniture evokes nostalgic feelings of times past.